Shazam, the app that claims to recognise any song in moments, has announced plans for an imminent initial public offering. 'We're looking at a billion dollars and beyond,' says Andrew Fisher, Shazam's former chief executive, now executive chairman. If you've ever seen someone waving their smartphone in the air like a loony at a club or party and wondered why, they were probably using Shazam. The app is used to identify songs by 'listening' to just a few bars of any track. It's currently one of the 10 most downloaded apps for the iPhone and, in the fine tradition of technology firms, is planning a mind-boggling $1bn IPO despite posting a pre-tax loss of £3m last year. So why the huge valuation? 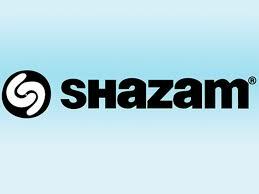 Well, Shazam does make some money: its revenues reached £21.8m in the year ending June 2012, up from £15.6m in 2011. And the firm is now moving beyond music recognition, partnering with 160 US TV networks to allow users to purchase merchandise through the app. This could take its earning potential next-level. Plus Daniel Danker, who was in charge of BBC’s hugely successful iPlayer service, was appointed as Shazam's chief product officer only last month, which suggests some kind of move into video/streaming. The IPO isn't Shazam's only breaking news this week. The app firm has also just appointed Rich Riley to take over day-to-day management of the business in the run-up to the listing. The former Wall Street analyst replaces CEO Andrew Fisher, who now becomes executive chairman. In his last statement as CEO, Fisher said that the originality of Shazam's product offering was certain to garner a lot of market interest in its IPO: 'Investors are starting to see the pervasiveness of mobiles in people’s lives, and there’s a scarcity factor around [our] type of business,' he explained. Riley's appointment - and the fact that he will be based in New York, has led to speculation that Shazam will choose to list on the Nasdaq, snubbing the London Stock Exchange (despite the fact that the company is headquartered here: it arrived in Blighty after failing to secure any backing from Silicon Valley back in 2000). The move would make sense as the US is now the company’s biggest single source of revenue, and has provided much of its recent venture capital funding. But does Shazam really have the market clout to hit £1bn at IPO? Well, there is nothing worse than trying desperately to remember the name of 'that song', right?